Call (530) 758-6986 for more information! American Arbor Tree Care Professionals provides excellent tree care services and comprehensive plans for landscape management. Tree care is our passion and we provide every customer with a hands on maintenance plan that gives you control over how your landscape looks. All of our rates are affordable and come with the guarantee that we will cut no corners, no matter how small or large the project is. No matter what the job, we can help you finish it. American Arbor Tree Care Professionals offers a wide variety of services to help all clients. We provide top level tree maintenance for overgrown trees and trees that need professional care to maintain their original sizes, shapes, and health. We understand trees well and know how to make sure that they stay healthy in any environment. We can bring that kind of expert knowledge to you and perform wonders on your trees right before your eyes. 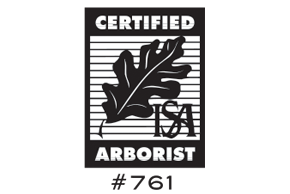 American Arbor Tree Care Professionals also specializes in expert landscape management planning. Get the most out of your landscape by taking the time to properly plan any new additions with our expert team of landscape planners. This is a great opportunity for you to know ahead of time that your landscaping plans will go off with out a hitch. Whatever the job, we are the way to go. If you want to get the best tree care in Davis, CA give us a call today.